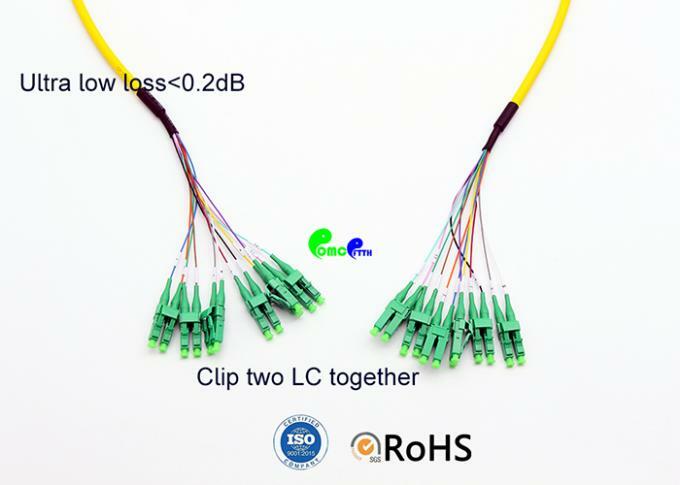 Fiber patch cord 12F OS2 9 /125 LCAPC – LCAPC with Mini breakout 12cm fanout 900um tail LSZH yellow,6pcs of LC Duplex APC each end. 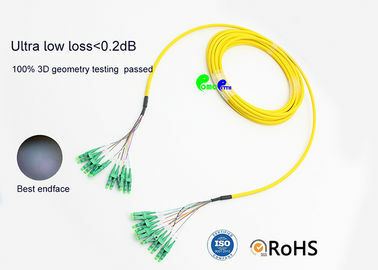 Mini Breakout fiber patch cord can be used as a building backbone or horizontal distribution. The use of the patch cord provides a quick and easy method for routing fiber patches in data centers, head-ends, cellular hubs and central offices. 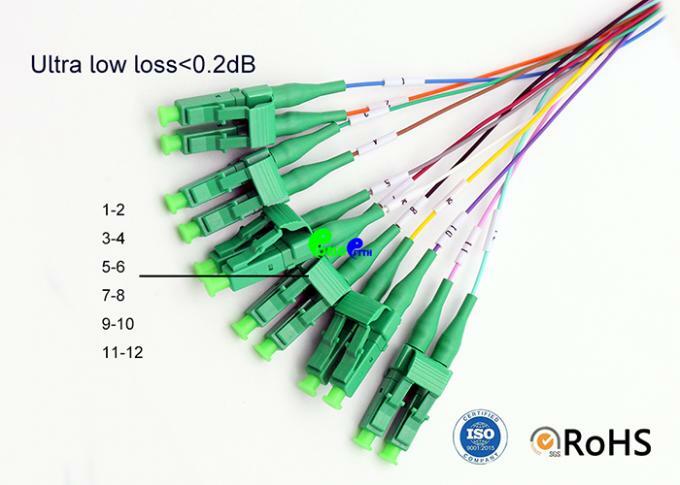 OMC’s Mini Breakout fiber patch cord is a low-cost, pre-assembled cable designed primarily for indoor interconnection between transmission equipment and patch panels or similar fixed routes. 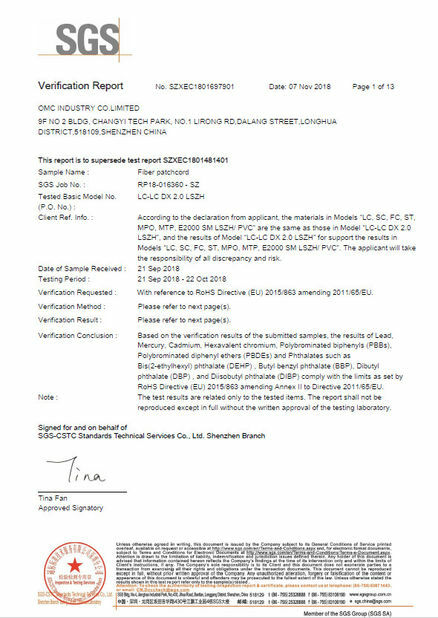 The fiber optic cable has industry standard flammability rating jacket and the connector meets EIA/TIA 604-2 for high speed cabling networks. 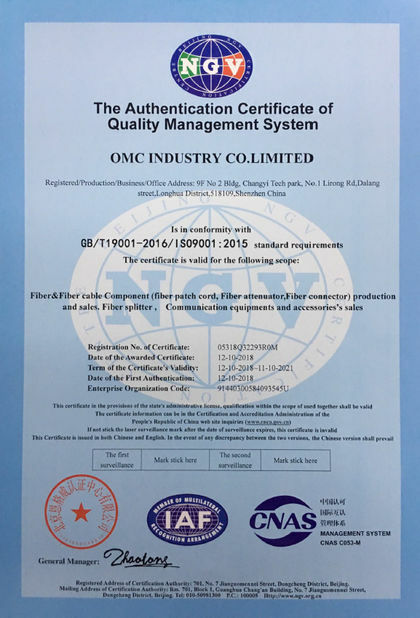 OMC also provides a full set of OEM services, such as fiber connector, length, color, fiber grade, specification, material, package etc. The slim and robust indoor multi-fiber patch cable is not only cabling in high density data center, but also terminated into rack mount and wall mount enclosures.